So, back when I first started exchanging emails and messages with some of the LISK.com people I let out some personal info. This was back when I was only known as Zero nobody knew who zero was. I should have been quiet, but I just have such a big mouth. I mentioned to MM7 first about me working at a local haunt here in Las Vegas. She would eventually use that information to find out my name and chased down my whole family on Facebook. She also shared info about me with Dorothy who would take the info about my haunt life and use it to slander many people who share the love for haunt season with me. I next told Jen about my haunt character (for you slow ones I am The Stranger). Jen actually knew someone who worked with me at the haunt years ago. But Jen would use the info to go digging up my YouTube stuff and then pass them on to others accusing me of creating my LISK blog to self promote. What a witch, scratch that w add the b. So I went a long time blogging, never mentioning haunt season and why I love it so much. Not wanting my haunt life and friends exposed to the gallery of nuts that have become a large part of the readership of my blogs. Well I’m done worrying about the nuts and their thoughts on my haunt life or their wonders of why I blog (even though I have explained why I blog over and over again). 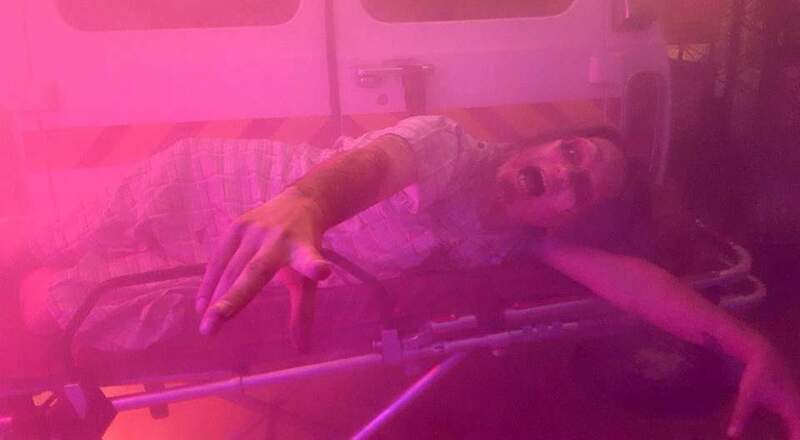 For those of you that don’t know what a haunt is or what haunt season is all about… it’s the art of putting up and acting in haunted house/mazes. I worked at my first haunt when I was 15, but I’ll blog about that another day. 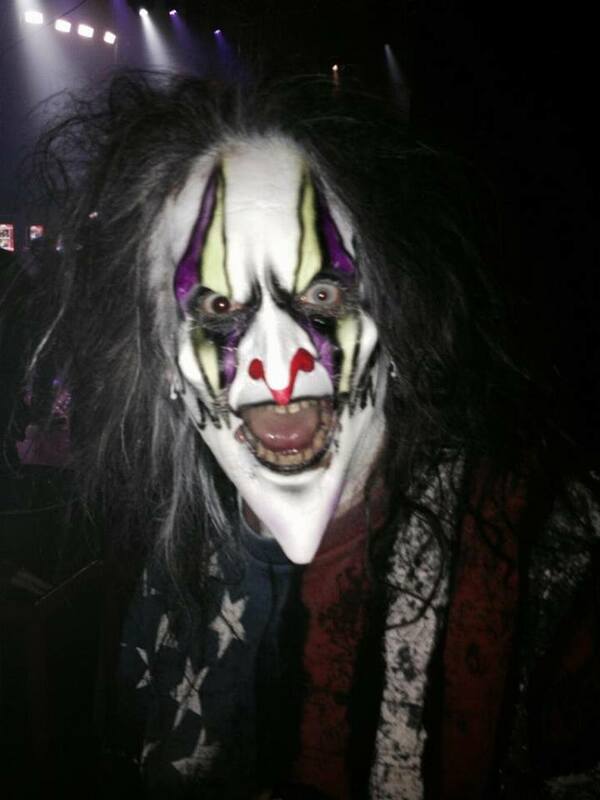 I grew up with Knott’s Scary Farm, and Halloween has always been my favorite Holliday, there are less than a handful of times where I didn’t dress up for Halloween my entire 4 decades on this earth. As some would say, it’s in my blood. No that’s’ not me in the video, but if you search enough Fright Dome videos you are bound to see me. 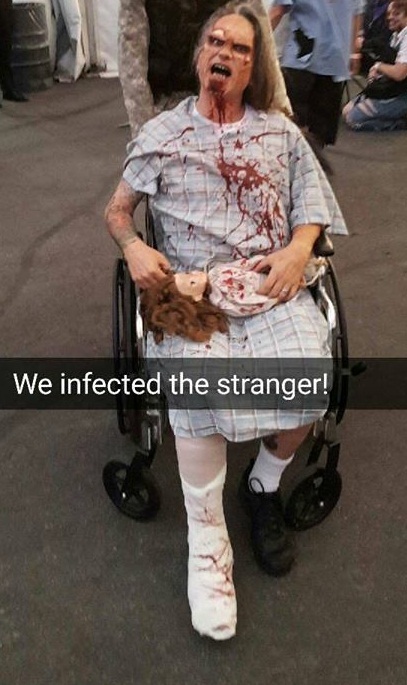 Now I know most of you already know this about me, many of you have seen my picture in gear (gear is what a haunter’s costume is called), in fact Linda visited Las Vegas last year and got to meet the Stranger personally (again, The Stranger is me). I’m bringing this all up for 3 reasons (would you expect anything else). 1st: Hmmmm… hero of the stupid seems to think I’m just some gossip blogger without a life… trust me, that is the furthest from the truth. My life is almost too full… it takes a lot to get it all done. 2nd: I wanted to show everyone what it is that keeps me so busy during this time of the season and away from the blog for so long. And 3rd: Tonight is the night where all the hard work that’s been going into it all finally pays off… it is Opening Night! And Fright Dome starts the season of with black carpet! It’s a media blitz with celebrities and many of my scary friends! And yes I will be on that black carpet tonight. Hmmmm… I wonder what my haters are all up to tonight. Me, I’ll be having a great time at one of the top haunts in the world! Well there you have it. My free time for the last few months had been very limited. I’ve been busy helping get one of the top haunts in the world ready for its 13th season. And now it’s time for the fun part! Friday the 13th has always been one of my favorite days. When I was a little kid I used to hear bigger kids talk about how unlucky the day was and then in 1980 a movie about some camp counselors being murdered in the woods showed just how unlucky that day really was. I was in fourth grade and was not allowed to see the movie but lots of kids I knew had seen it and couldn’t stop talking about it, that and another movie called Halloween, but we got a few months before we need to talk about that movie. A year and a half later and we had cable. Which meant I got to see these movies and a lot more. I had heard so many kids talking about different horror movies over the years and I wanted to see them all. I became a horror movie junkie, watching everyone that came on. I finally got to see Friday the 13th, and it did not disappoint! In sixth grade I made a cake and took it to school on Friday the 13th. Throughout the years and all the movie sequels (even Jason Takes Manhattan, though I would agree that it is almost unwatchable) the day was just as special to me as my own birthday. Back when my wife and I started working at Fright Dome we wanted to have some get-togethers with the new people we met working there. So we had a bunch of Friday the 13th parties. Some of them were small gatherings, while one got to over 200 people in our home, and our house isn’t that big, it was packed. The parties were fun, but they could get out of hand. There was a watermelon massacre at one of them and at another our bathroom and most of the hallway to it was flooded due to some one “taking a bath”. Still, they were fun, but all good things must come to an end. Our neighbors thank us. It’s been years since our Friday the 13th parties, and I miss them. Lately though, we have been getting together with our good friend, Happi the Cannibal, at a top-secret place in Las Vegas called “The Bat Sanctuary” for some good times with good friends (I might blog more about Happi and The Bat Sanctuary at a later date). 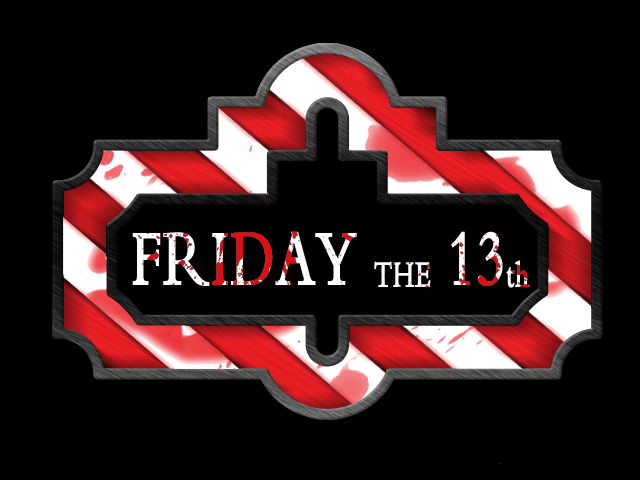 And thanks to Happi, The Friday the 13th Parties will live on! There’s no beter place for it than the Bat Santcuary either. Plus there’s gonna be a full moon tonight! 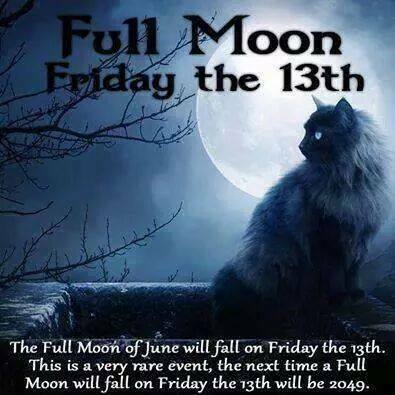 A full moon on Friday the 13th?!? That’s pretty rare. Yes, a party is a must! So I hope you all are enjoying your Friday the 13th, be careful of that full moon though. Well, jello-shot cupcakes are calling.